This updated digital to analog audio converter is designed for either home or professional audio applications. 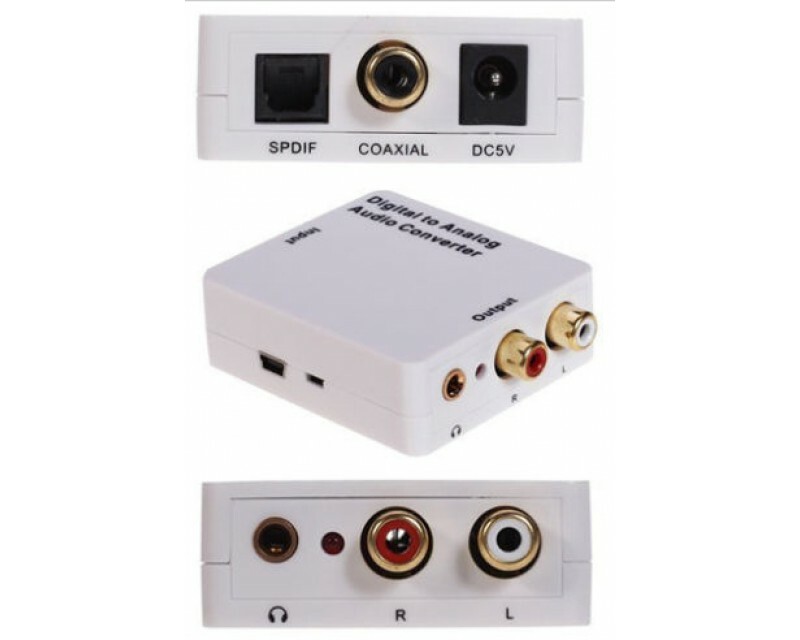 It converts Toslink / SPDIF or Coaxial digital audio signal to analog L/R audio and supports sampling rate up to 192kHz! It supports an external device such as an amplifier via standard RCA-style L/R jacks, and a stereo headphone via its 3.5mm jack at the same time. By using the newest 192kHz Digital Audio Receiver & 24-bit 192kHz DAC chipsets from Cirrus Logic, you can now have high quality sound for your applications! This small converter is easy to use and plug and play. 5. Compact and plug n play; dual voltage 100V-240V AC adapter included. 1) This product is not an audio decoder. It does not decode Dolby or DTS multi-channel audio (if you need such kind of decoder, please see eBay item number 251157207718 or 261371868760). It converts 2CH PCM digital audio to 2CH analog audio. Please make sure that the digital audio output of your device defaults to or can be set to PCM/LPCM. 2) This product cannot work in the opposite way. If you need analog to digital audio converter, please see eBay item # 261153042824.